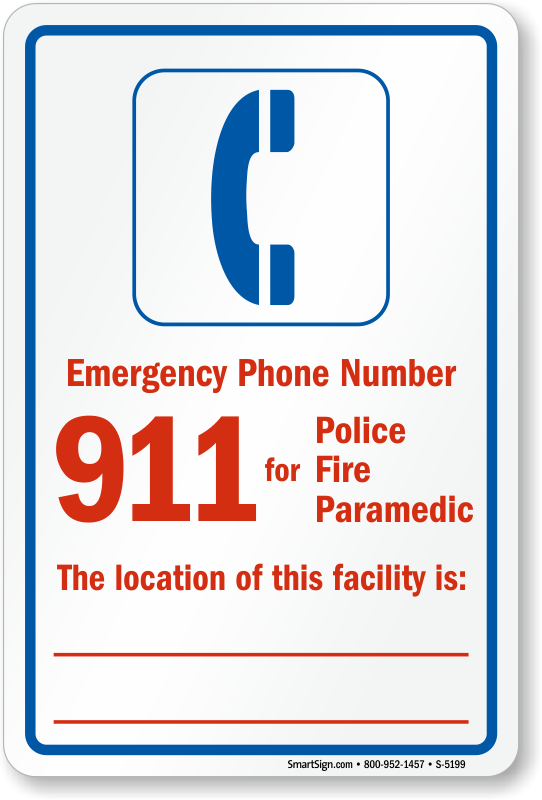 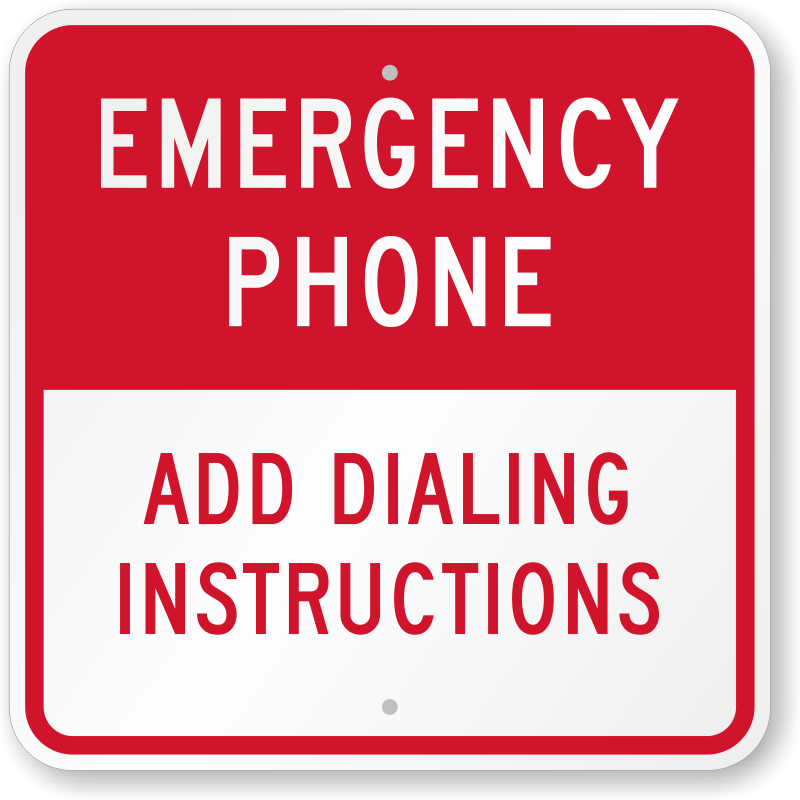 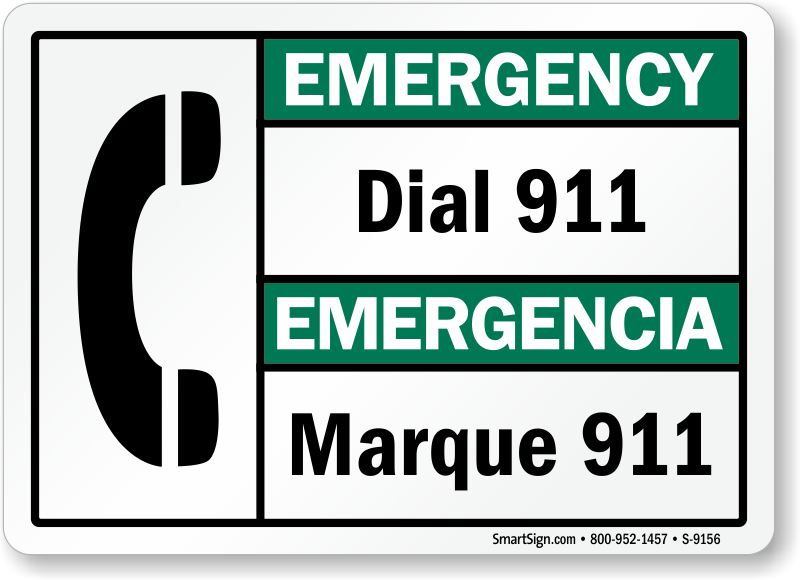 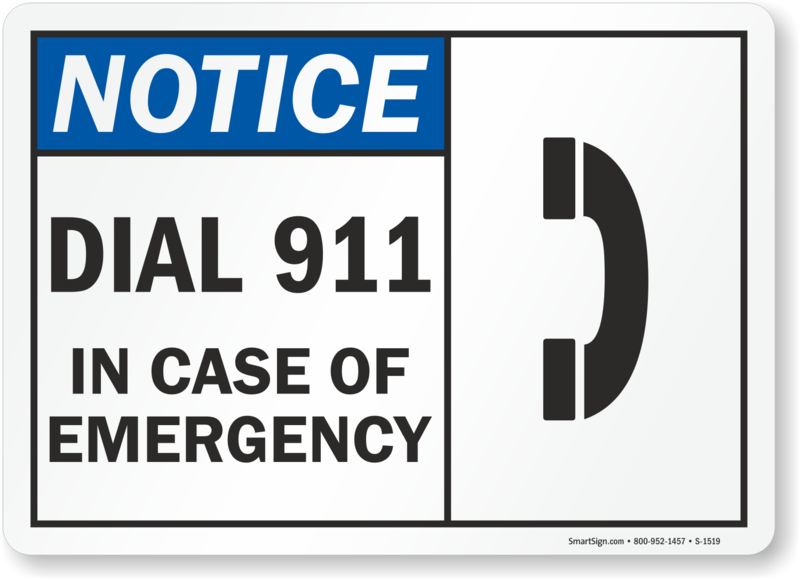 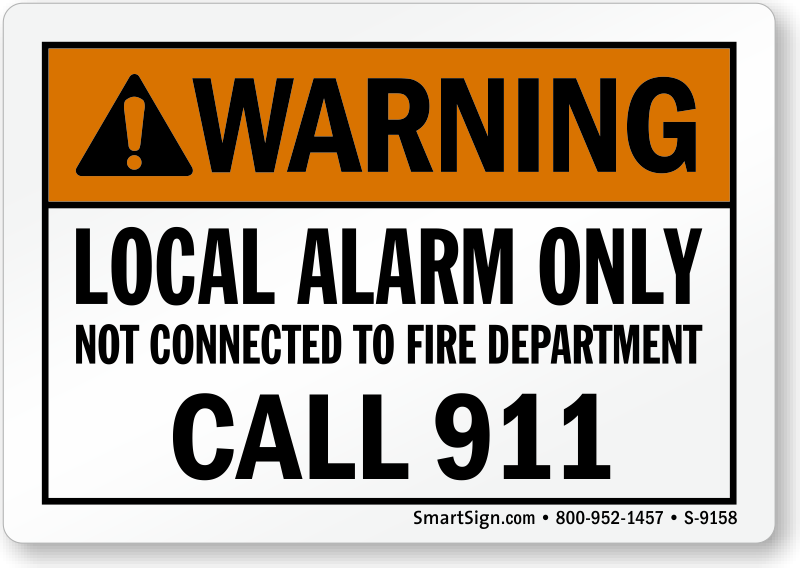 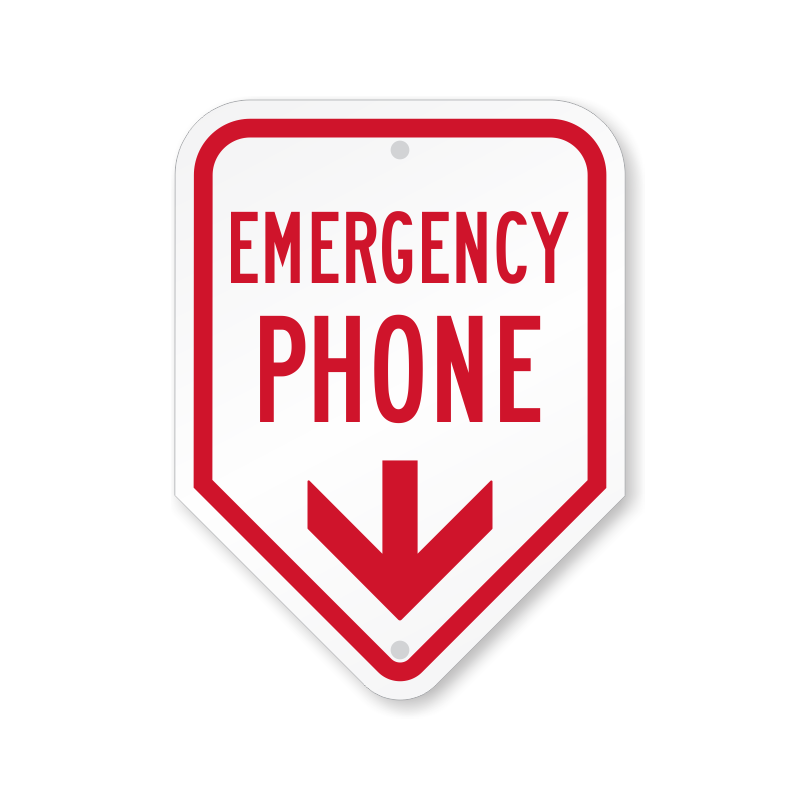 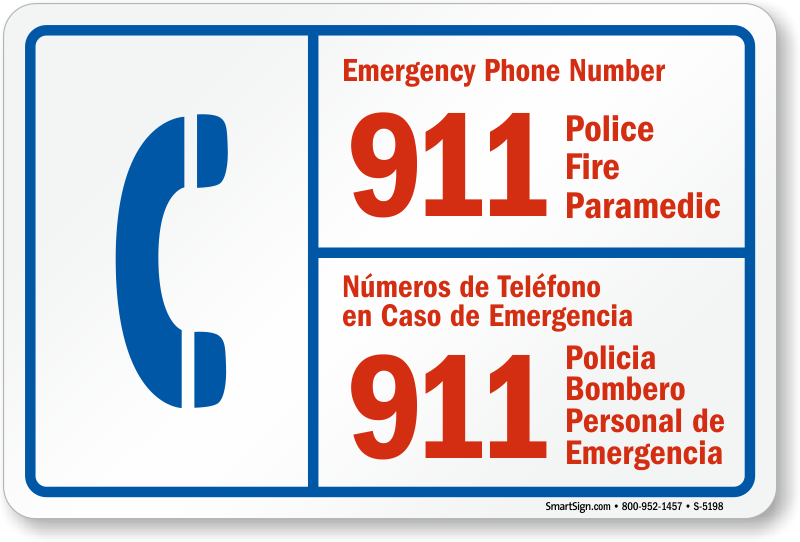 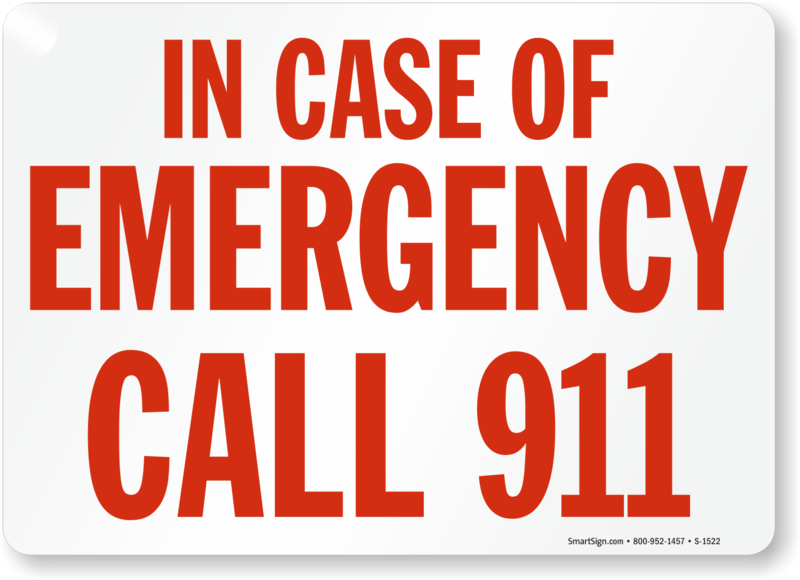 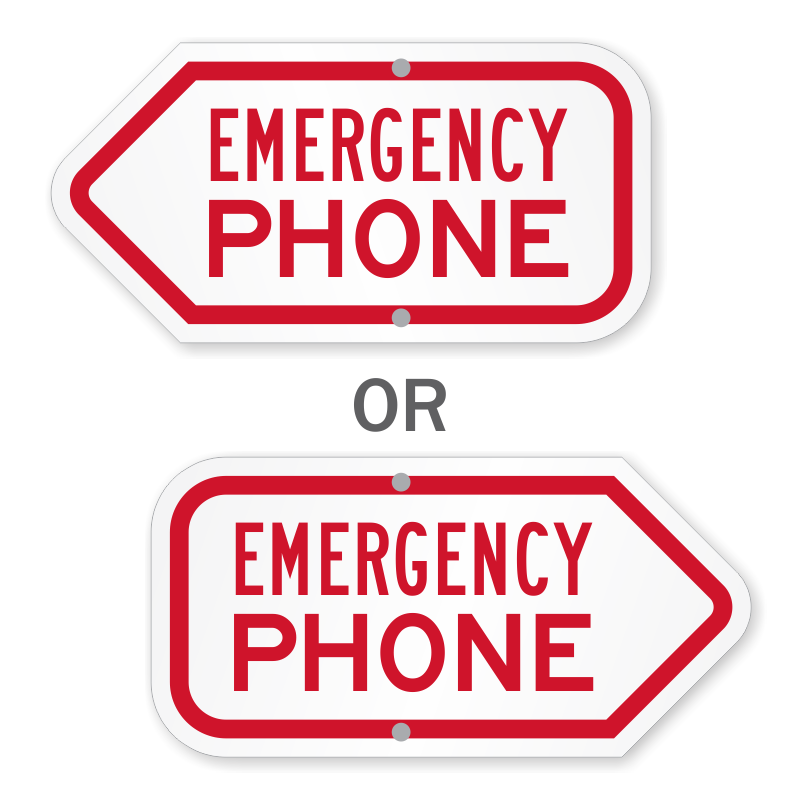 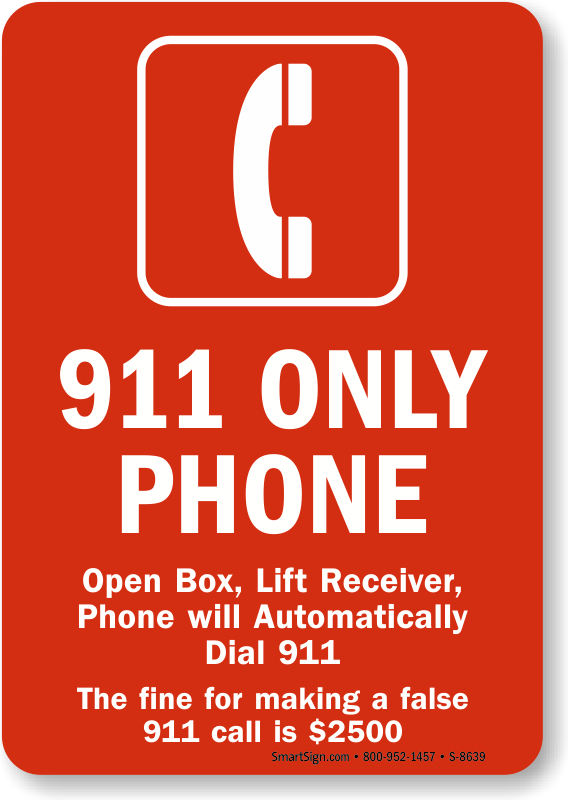 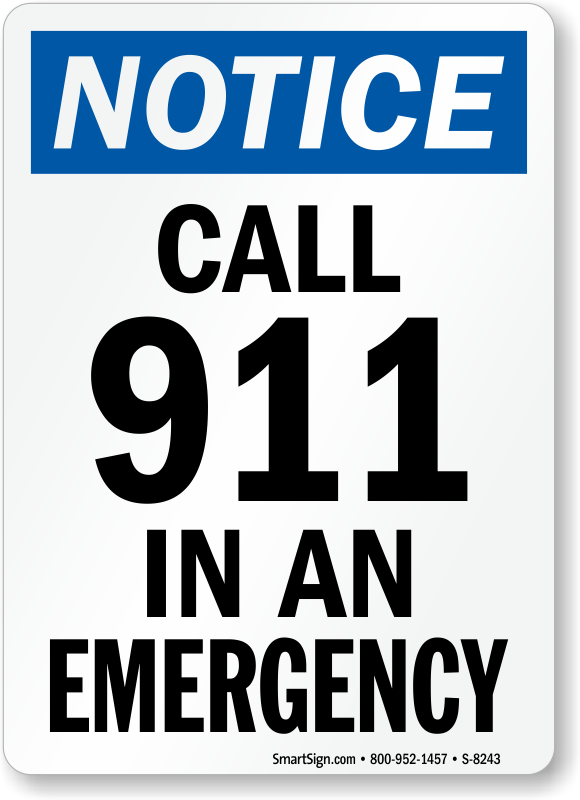 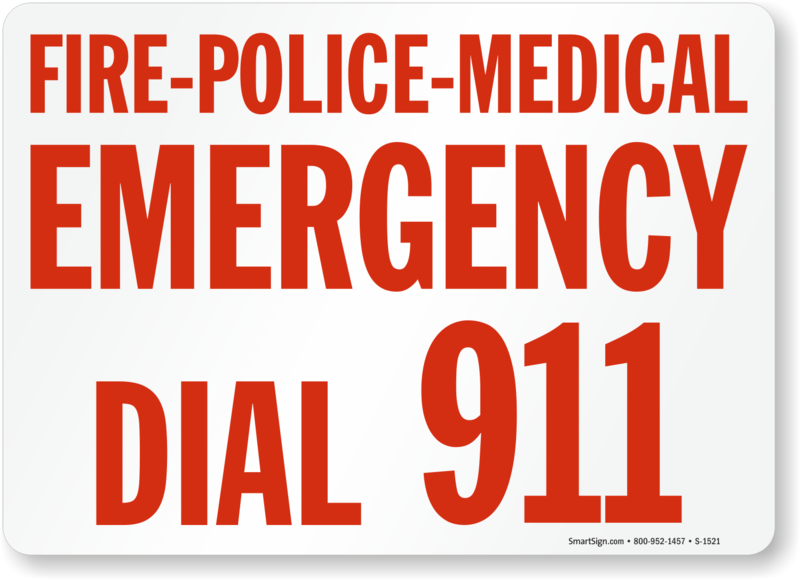 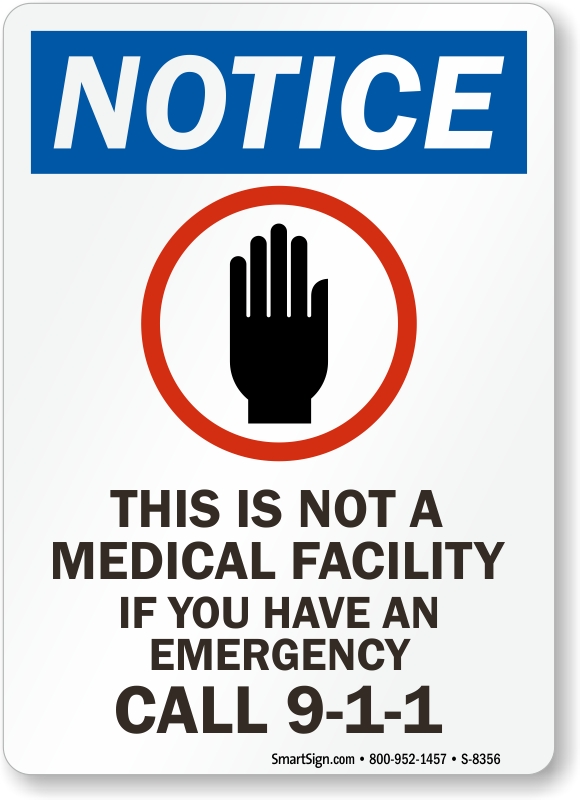 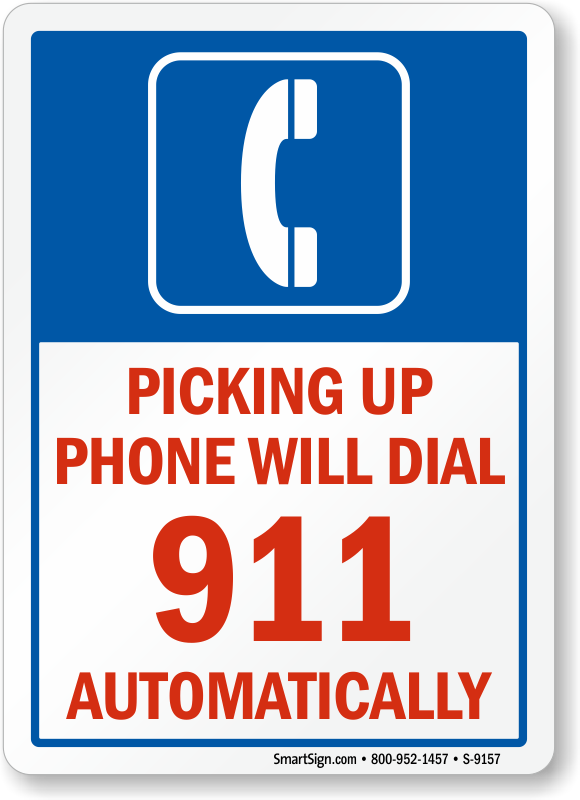 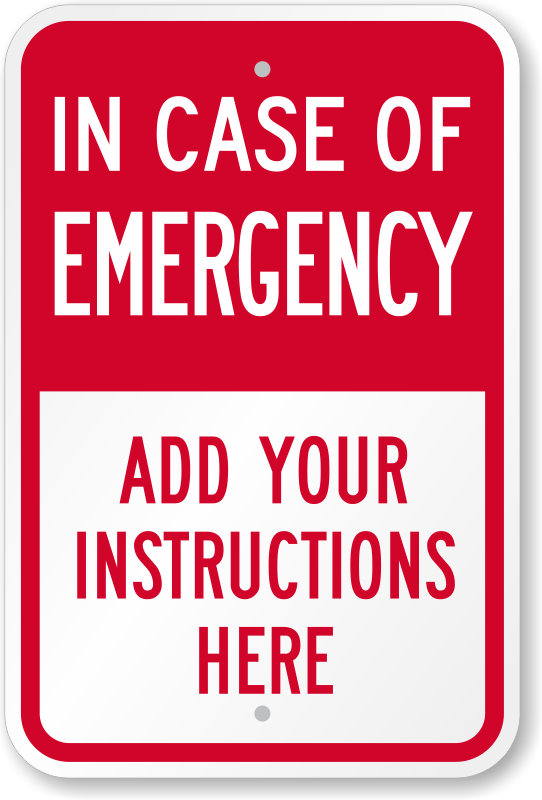 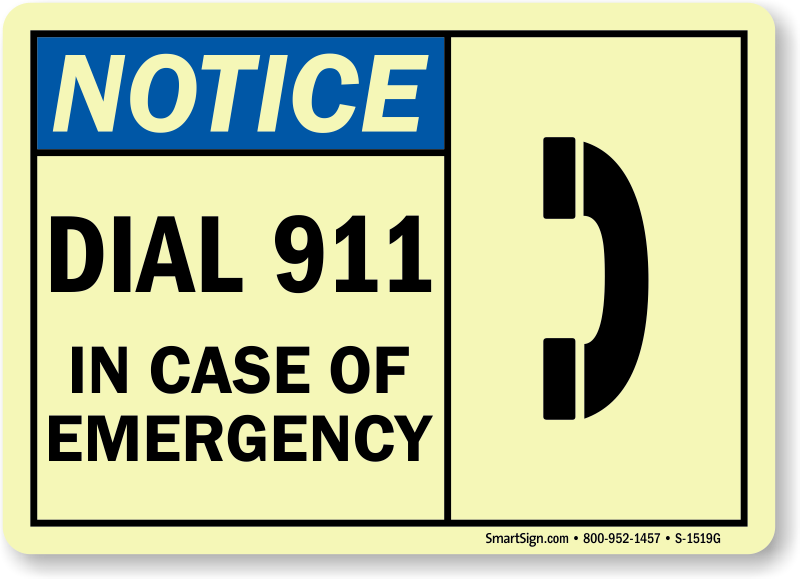 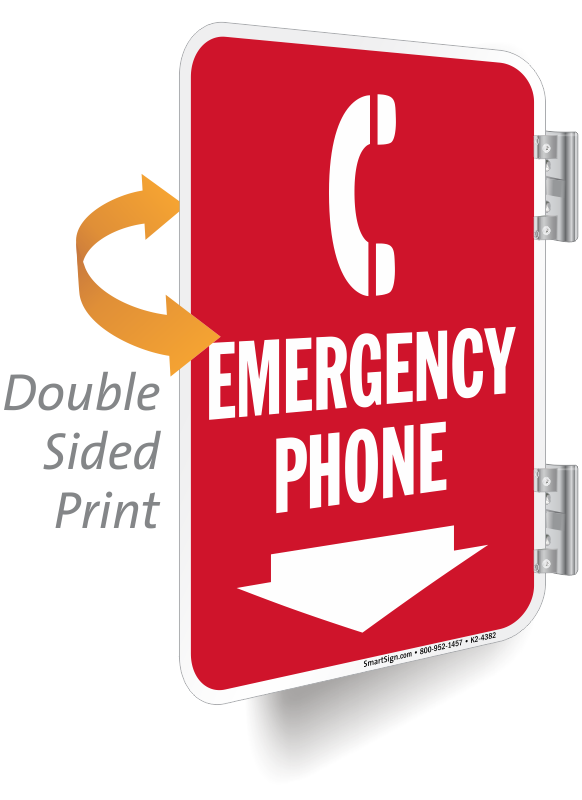 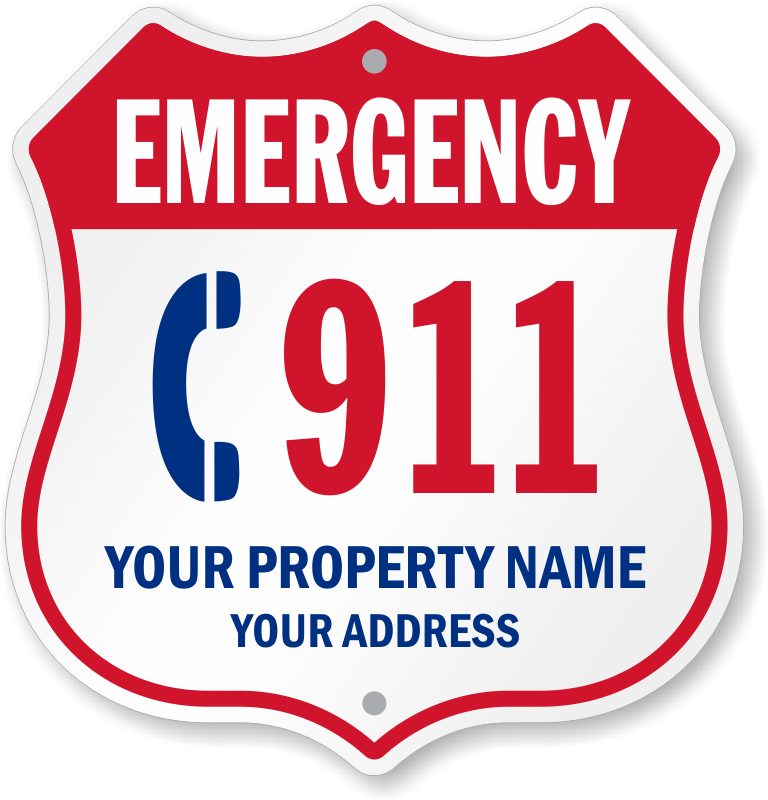 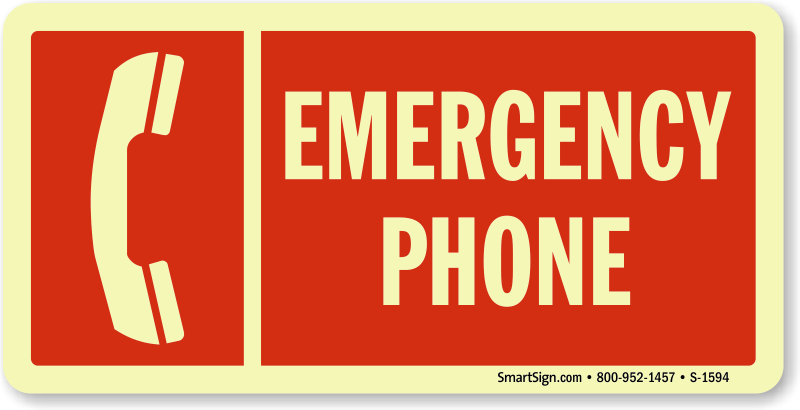 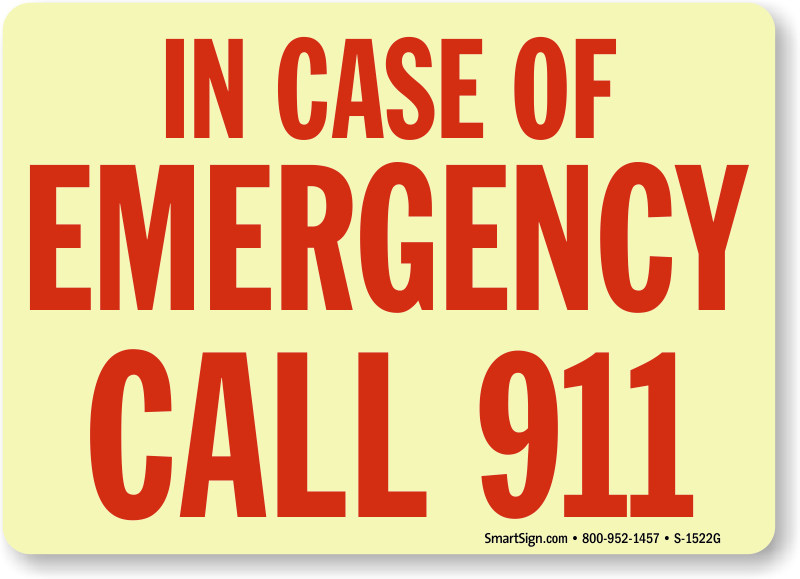 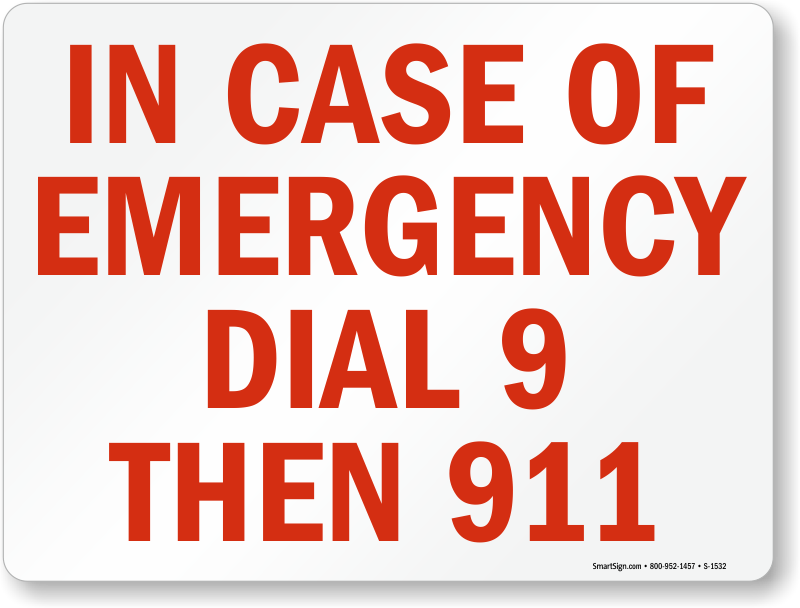 When disaster strikes, you'll need in case of emergency, dial 911 signs. 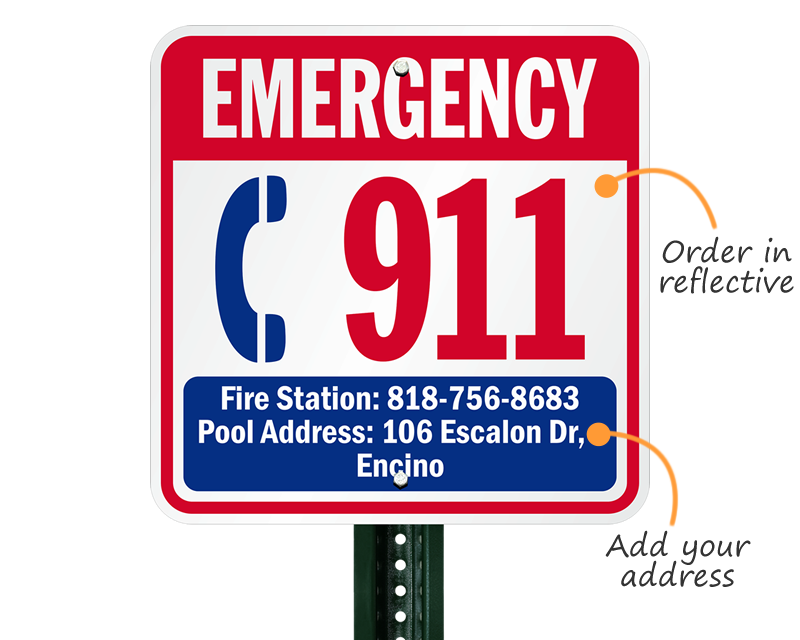 Post reminders that help is just a call away. 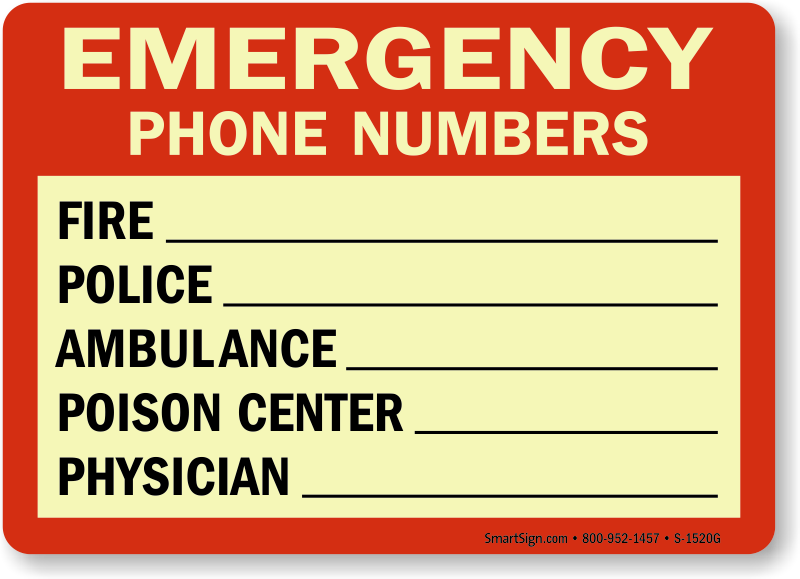 In a moment of panic, people may forget important emergency numbers. 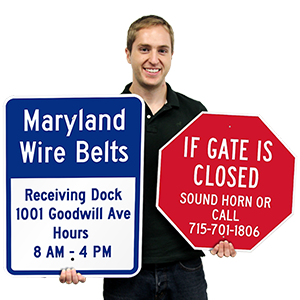 Signs are also useful for tourists and travelers. 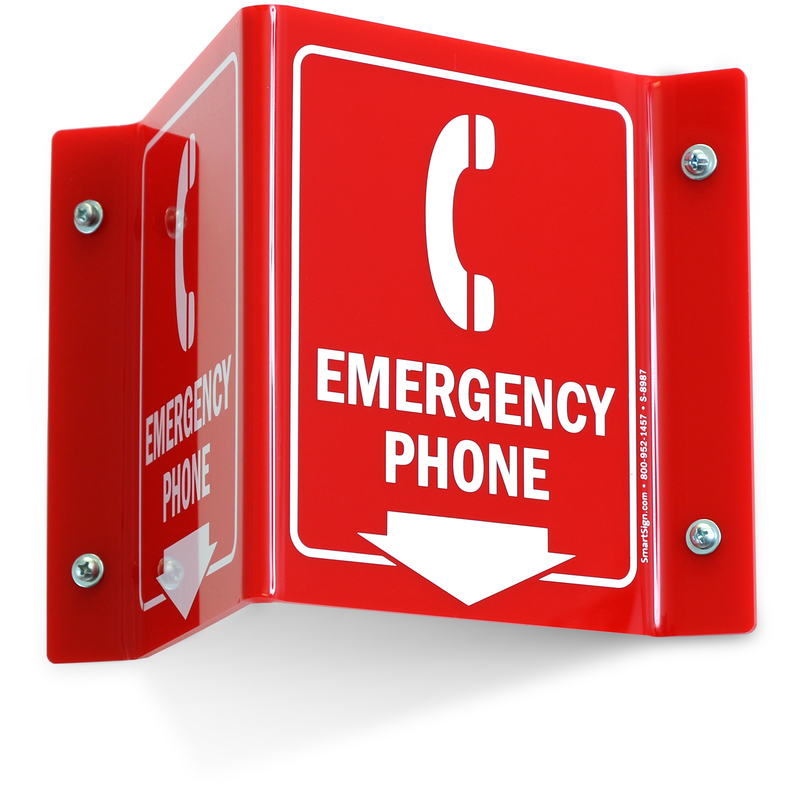 • Help people quickly locate the emergency phone. 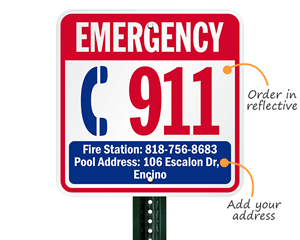 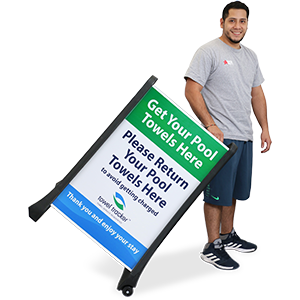 • Personalize a custom sign at no extra charge. 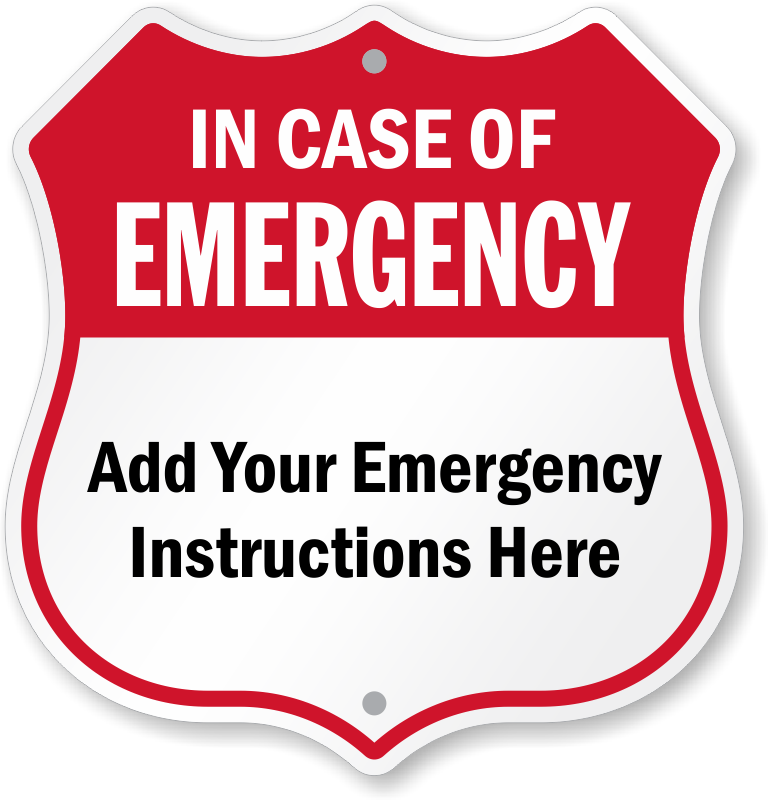 • Need it now? 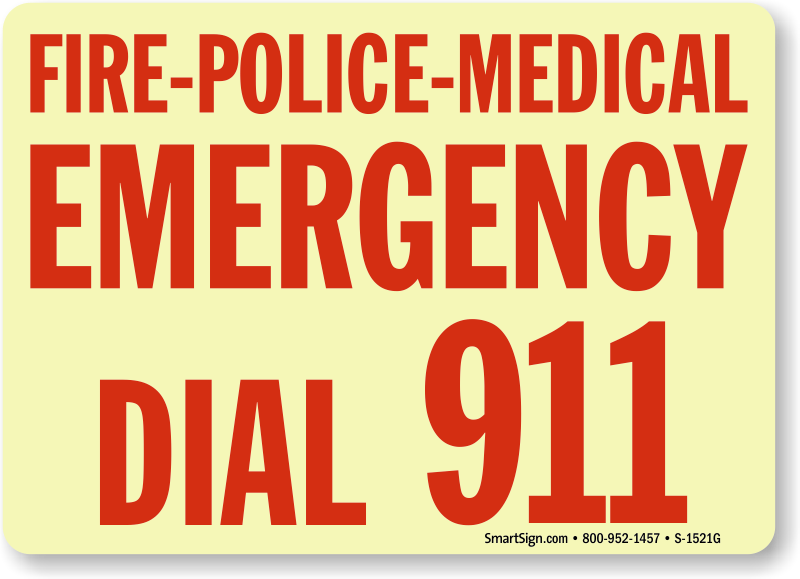 Download a free PDF for your home or office. • Still have questions? 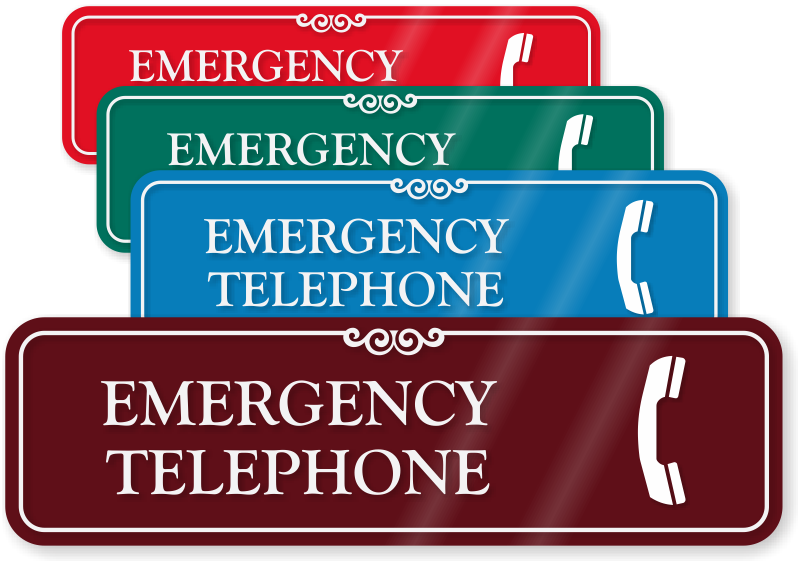 Give us a call if you need more help. 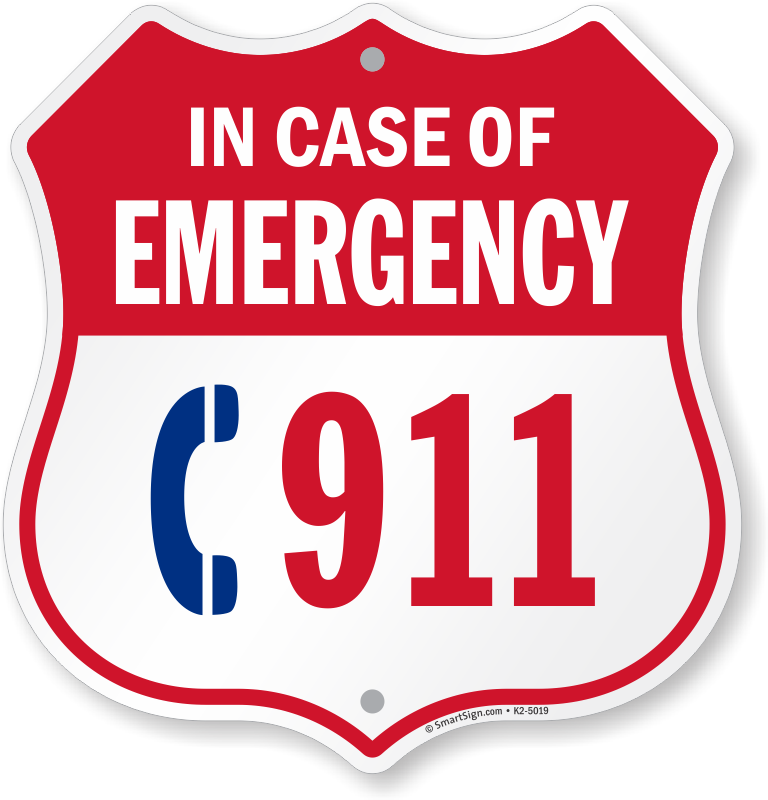 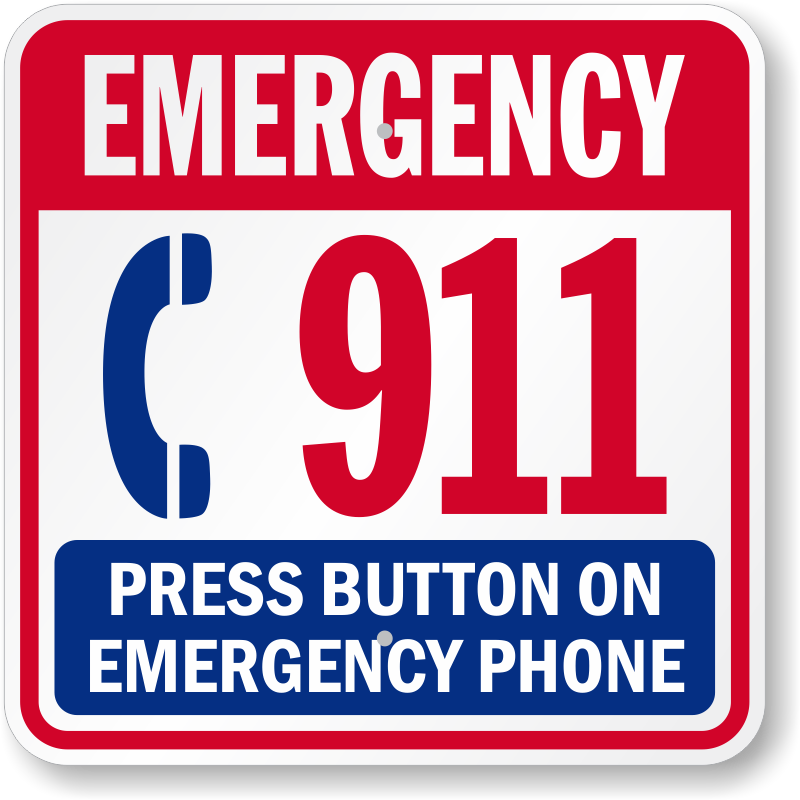 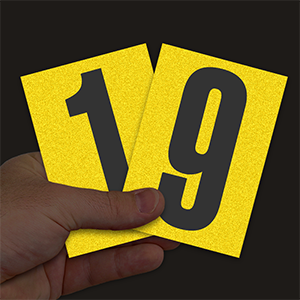 Learn how 911 became the universal emergency number. 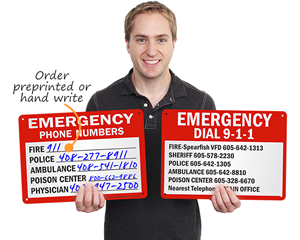 Fast service and great quality product. Customized to my specs- nice job.